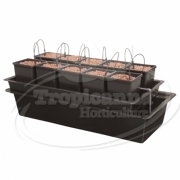 Tropicanna Horticulture is the largest hydroponics and horticultural shop in Derbyshire and is the UK's fastest growing hydroponics online store . Our combined and extensive knowledge of the horticulture and hydroponics industry has helped Tropicanna to develop a close and personal relationship with our wholesalers which translates into great discounts on products, which we always pass on to our customers through grow kits, grow lights, hydroponic systems and many more products. We pride ourselves on supplying only the very best hydroponics equipment and we are constantly searching for new and innovative products and ideas at the store. If we don’t have the products you are looking for in store or online, just let us know and we will happily source them for you. With an extensive range of grow lights and grow kits we can provide the perfect set up for both beginners and seasoned enthusiasts. We pride ourselves on offering such a wide range of products that we have a solution for all hydroponic needs and requirements. 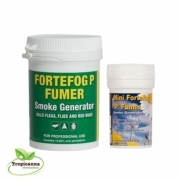 We supply complete kits at competitive prices and our friendly and helpful staff will always be on hand to give you the best expert advise and help you chose the correct products of your needs. Coupled with our price promise, the customer gets a great deal. If you are looking for a leading hydroponic shop to assist you with anything hydroponics related, you have definitely come to the right place. Furthermore, if you require assistance or guidance or find yourself with any questions regarding any of the equipment that can be purchased on our website, we have an expert and friendly team available whom you can call or email today. Interested in CBD products? We highly recommend Nature 1st, a UK based company selling all types of CBD products, from oils to bath bombs to coffee. Please follow this link below.